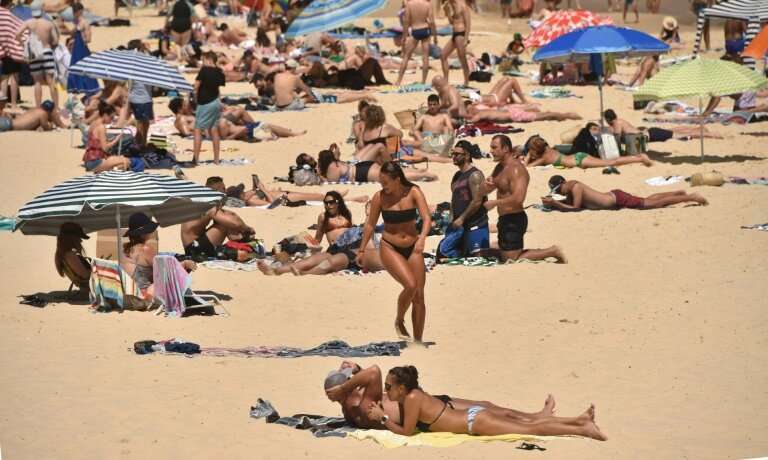 Australian towns were among the hottest places on Earth this week as a severe heatwave hit the continent's southeast, with forecasters warning of more record-breaking temperatures before the weekend. The past four days were among the country's top 10 warmest on record, with temperatures nearing 50 degrees Celsius (122 degrees Fahrenheit) in some spots, the Bureau of Meteorology said Wednesday. 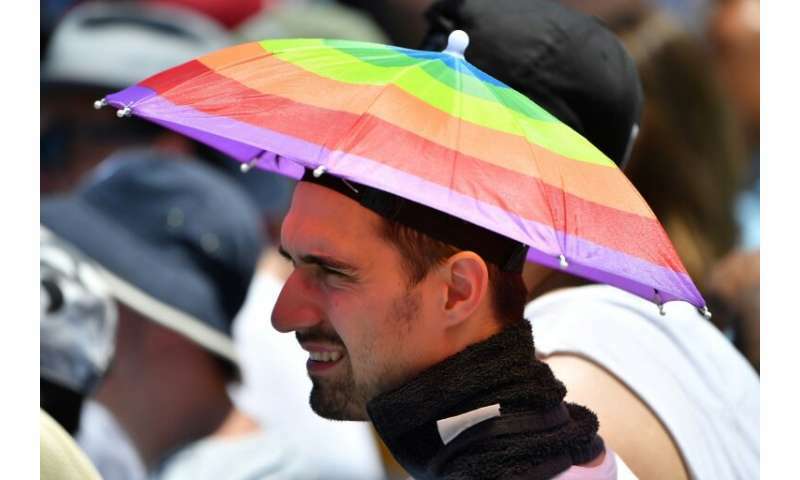 "With South Australia breaking some all-time records yesterday, it would certainly put this region as one of the warmest parts of the world yesterday, if not the warmest," the bureau's senior meteorologist Philip Perkins told AFP. "The places that broke records yesterday are already warmer at this time today as they were yesterday." 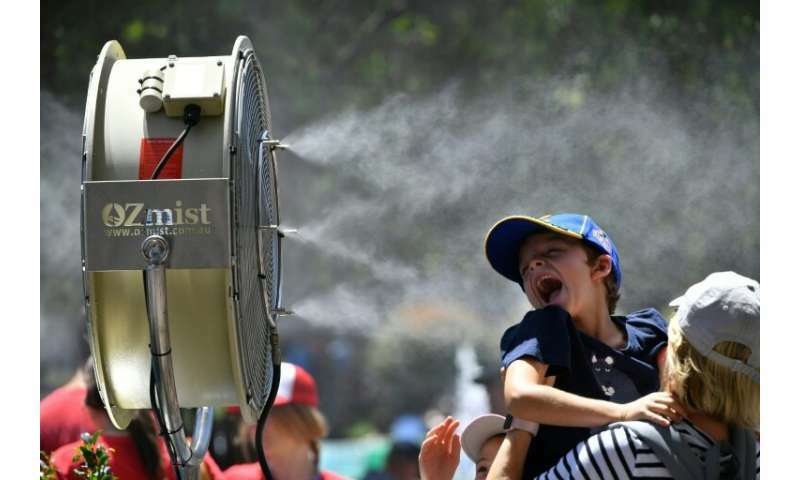 Among the towns in South Australia state experiencing their hottest temperatures on record Tuesday was tiny Tarcoola in the region's far north, which reached 49 degrees Celsius. The city of Port Augusta recorded a temperature of 48.9 degrees Celsius, almost one degree higher than its previous record set on February 7, 2009—the same day Victoria state endured the devastating "Black Saturday" bushfires that left 173 dead in the nation's worst natural disaster. The desert town of Coober Pedy—where some residents live underground to escape the harsh conditions—equalled its temperature record of 47.4 degrees Celsius. In the state's capital Adelaide, where cycling's Tour Down Under and the cricket One Day International between Australia and India were being held, athletes sweltered through a maximum temperature of 41.9 degree Celsius. Overnight temperatures were also set to remain high, before a rapid change to cooler conditions from late Thursday when a cold front currently over the Southern Ocean sweeps across southern Australia, Perkins said. "Everything's sort of a bit of a pressure cooker at the moment, and everything's getting hotter and more humid and we're all doing a slow clap waiting for this change to come through," he added. Australia's creatures, already battered by a drought plaguing the east of the vast continent, are also feeling the heat. Up to one million fish are believed to have died along the banks of a major river system, with authorities warning of more deaths to come as temperatures soar. The New South Wales state government said it would install aerators in some waterways to keep the levels of oxygen up for fish to reduce the likelihood of more mass deaths. Nature is giving us a sign. Climate change really causes an impact on not just the people but the animals as well. We need to think fast and take actions on how to stop destroying the environment. I believe that if there is no change to help our world better, the impact is not going to be only in Australia, but all around the world. This world has been here for billions of years and we don't want it to end tomorrow.